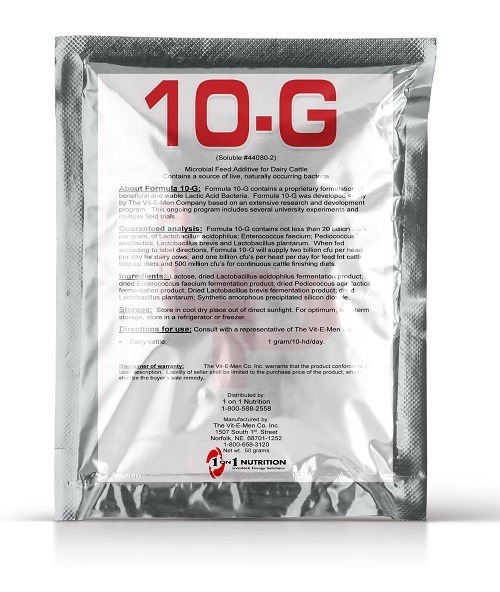 10-G : A unique blend of 5 specifically Selected beneficial bacteria fed to cattle- results in a healthier, more productive animal. Increase energy intake. Healthier cows have bigger appetites and a steady state beneficial microflora in the lower gut means less digestive upsets. 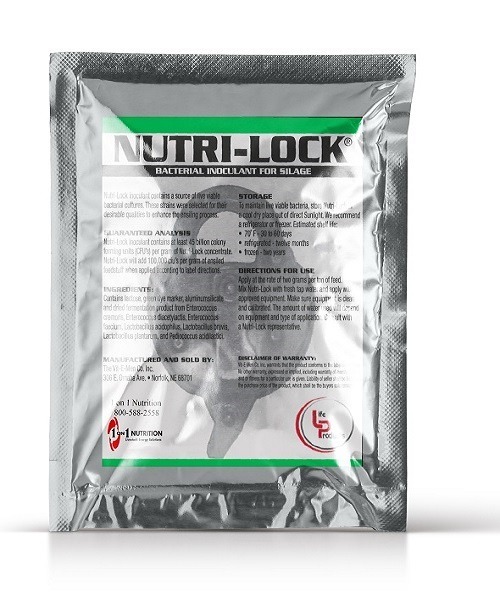 As a result, feed intake and/or feed efficiency is improved. This concept has been demonstrated in every university research trial with 10-G. More milk and/or milk components. When you feed 10-G, the net effect is that the cow processes more metabolizable energy per unit time. Because more energy is made available to the udder, more energy is recovered in the milk per unit time. That is, either greater milk production and/or greater concentration of milk components. Lower somatic cell count. Cows fed 10-G are healthier, and healthier cows have stronger immune systems. As a result, sub-acute infections are less. Several producers feeding 10-G report a lowered somatic cell count in their herd. Better rebreeding performance. Healthier cows with bigger energy intake partition more energy to reproduction. When feeding 10-G, expect fewerdays in milk to first estrus and less breedings per conception. Reduced culling. 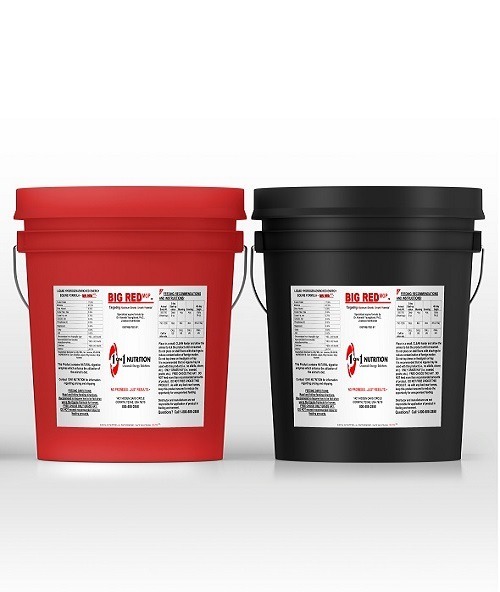 When feeding 10-G, expect improved overall herd health,improved re-breeding performance, and less digestive upsets. The net effect is reduced herd turnover.